- In November 2012 Somaliland took another step along its democratic journey by holding district and council elections again. This path is rarely straight-forward as the report by the International Election Observer (IEO) mission, released today, highlights. The report launch, taking place at University College London, is accompanied by a panel discussion and photo exhibition by Kate Stanworth who accompanied the IEOs. At the invitation of Somaliland’s National Electoral Commission Progressio and the Development Planning Unit of University College London led a team of 50 International Election Observers (IEO), following previous observer missions in 2002, 2005 and 2010. With 2,368 candidates contesting 379 positions and the age of candidacy lowered to 26, the IEOs were pleased to see so many young people and women running for office and campaigning. 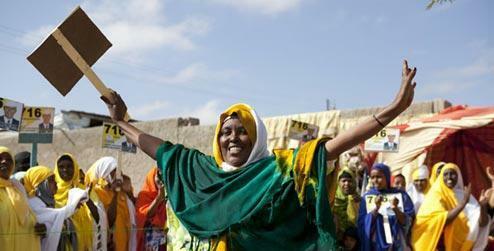 Out of 140 female candidates who ran in the elections, 10 were elected and whilst this may not sound like a lot it is more than double the amount elected in the last round of council and district elections in 2002 – representing a good improvement for the acknowledgement of equality and women’s rights in Somaliland. Whilst the observers felt the voting process was free they could not be confident that it was, at all times, fair. This was despite the best efforts of polling station staff who the IEOs congratulate on their professionalism and efficiency. The IEOs' main concerns on election day itself were over the real potential for multiple voting –mainly due to indelible ink not being a sufficient safeguard against fraud. Another significant problem contributing to the issue of multiple voting was that people were not registered to vote at any one particular polling station. This meant that if someone cleaned the ink from their finger after visiting one polling station then they were able to visit another and vote again. In their report the IEOs therefore encourage Somaliland to adopt a robust system of voter registration, so that future elections can be approached effectively and with confidence. A reduced IEO team stayed in Somaliland throughout December whilst the votes were counted and results announced. This process was not without its problems with allegations of missing ballot papers, and credible grievances about the voting process by some of the political associations. A lot was at stake because, under Somaliland law, these elections would also decide which three of the seven contesting parties/associations would qualify to take part in future presidential and parliamentary elections. By 26 December some smaller political associations had merged with each other or with larger ones and all but one of the seven contesting parties/associations were prepared to accept the outcome of the elections. Regrettably this did not occur without some violent conflict in parts of Somaliland resulting in several deaths. 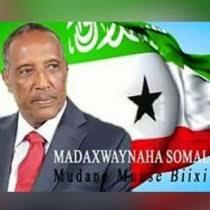 At a formal ceremony attended by most of the parties, it was declared that Kulmiye, Waddani and UCID had received the highest proportion of votes overall, and had therefore each qualified to take up one of the three positions as a political party registered to contest presidential and parliamentary elections over the coming decade. Progressio’s Dr Steve Kibble, the mission’s joint co-ordinator and chair of the panel discussion at the report launch, said: "the road to democracy is never easy. Our report is, we hope, a fair reflection of the process with its 'swerves' as well as its forward strides. We look forward to further engagement with the people of Somaliland in all the facets of building a stable, progressive democracy that reflects the views and aspirations of all citizens."